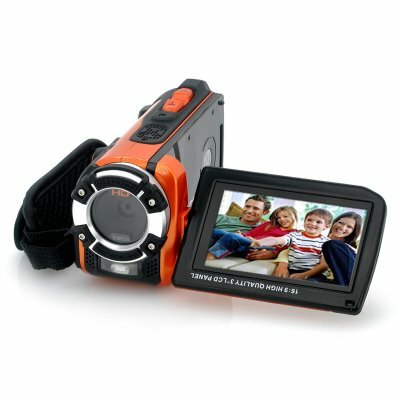 Successfully Added Ultra Rugged HD Sport Camcorder 'C-Shock' - 1080p, Waterproof, Macro Function to your Shopping Cart. 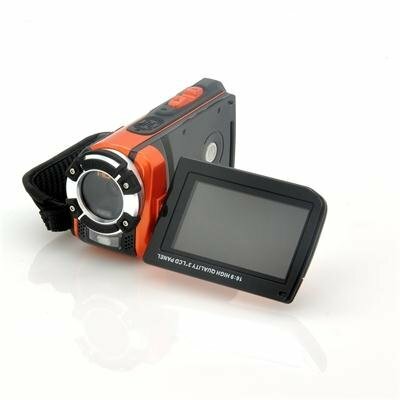 Ultra Rugged HD Sport Camcorder with the ability to record 1080p videos as well as being waterproof and having the macro functions is the premier of all sports action cameras. Despite its rugged good looks and superior design, the C-Shock Sport Camcorder is still at heart a great capture device, meaning it has been embedded with macro lens functioning for details that normally escape the naked eye. An inexpensive yet powerful digital camcorder that captures high definition videos in 1080p resolution and doubles as a high quality still digital camera is now available. This rugged beast of a video camera is lightweight yet tough enough to for the outdoors. It's waterproof and even comes with a bunch of extra special features like macro functionality for taking highly detailed photos and videos. If you're after quality videos, you'll be impressed with what the C-Shock has to offer. 1920 x 1080p resolution video quality at 30 frames per second saved in today's most popular video format , H.264 mpeg-4 codec AVI. Whether you're planning to use it for family get together or adventurers in the great outdoors, the C-Shock Ultra Rugged HD Sports Camcorder is your best friend for the best still and video camera in its price class. Of note, this rugged beast of a sports video camera is built solid like a rock and even enjoys the occasional swim as it has a IPx8 waterproof rating down to 3 meters for up to 60 minutes at a time. It's also a stellar 5MP still digital camera with zoom and plenty of image effects for you to frame your perfect shot or video and sports a 3 inch view screen and HDMI connection on top of USB and AV connectivity for a camcorder better than any you'll encounter. This product is in stock and can be dispatched within 24 hours of ordering with a 12 month warranty. Brought to you by the leaders in wholesale electronics and sports action camera, Chinavasion. Très bon emballage, finition du produit correcte, design intéressant. Bref si l'on s'en tient à cela tout irait bien. - Délai de livraison maximum: entre 2 et 4 jours = 5jours. - Pas de facture pour le client dans l'emballage du produit. - Contre-remboursement de 11€ à la livraison: inacceptable pour une vente en ligne, le client ne doit effectuer qu'un seul paiement, aucun frais supplémentaires!!! - Aucune notice d'utilisation en Français, ni sur le document ni sur le DVD!!! Dans ces conditions, je ne peux proposer vos produits sur ma Eboutique car les prix ne sont pas fixes et mes clients(es) Français(es) doivent trouver une facture ainsi qu'un document d'utilisation en Français. Excellent and amazingly compact camera, very easy to use from the off. Customs duties I was expecting to pay. An additional £8 postage to Royal Mail I wasn't. SO THE WATER PROOF IS GREAT IT WAS UNDER 4METER DEEP WATER FOR 6HOURS STILL NOT A PROBLEM. THANKS CHINA VASION FOR GREAT PRODUCT. This is my 2nd order from Chinavasion and what brought me back was/is the great, super, reasonable price of good products. The only extra cost paid was the VAT which was not bad. the Camcorder works great and everything was tightly packed and neat. I have not tested the waterproof function. Chinavasion, watch the space...I'll be BACK. This was my first order from Chinavasion so I was a little curious about the quality and service. Ordered it Sept. 20th and recieved it (in Belgium) on Oct. 5th by Hong Kong Post. Had to pay an additional €10 to Belgian post office ! The camera works perfect, does what it needs to do. (makes nice pictures too) Very user friendly, small and no difficult configuration needed. If there was one thing I could change on the camera, it would be the position of the record button. It's just above the divemode button. It would be better the other way around. The only thing I haven't tested yet is if it's really waterproof, so one of these days I'm going to put in in a bucket of water. Bottomline : Very impressed by the quality and price. I quess I'm going to be a returning customer on Chinavasion.